GRN Australia has a team of recordists and studio staff who are responsible for both making new recordings and preserving and restoring older recordings. Opportunities exist within GRN to serve either full-time, part-time or on a voluntary basis. 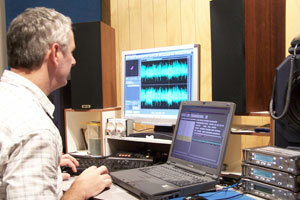 This is a great way for you to use your skills in recording or sound production for God's purposes. Please complete the form below if you would like more information about serving in the GRN studio, or click on the link for information about our full-time Trainee Recordist position.